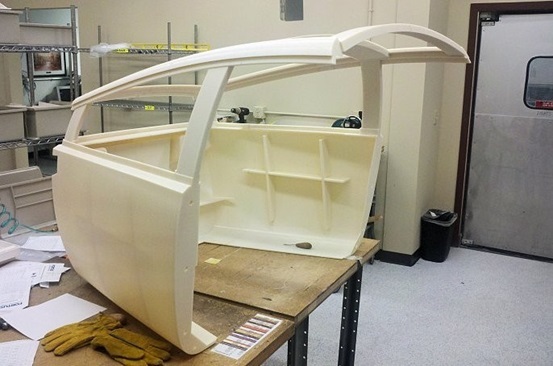 A 3D printed car is set to take a road trip in 2015. Cody and Tyler Kor will be behind the wheel of Urbee 2, making the dash from New York to San Francisco. They’ve pledged to do the trip on a meager 10 gallons of bio fuel – that’s approximately 38 liters on our side of the world. Oh, and did we mention they plan to do this in just 2 days? 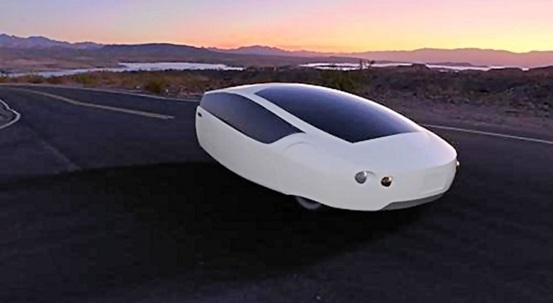 Urbee was the world’s first 3D printed car, and the predecessor to Urbee 2. Both cars remind us of something you’d see in Minority Report, with their sleek, cylindrical design and lollipop orange colour scheme. The real kicker is in the energy efficiency. 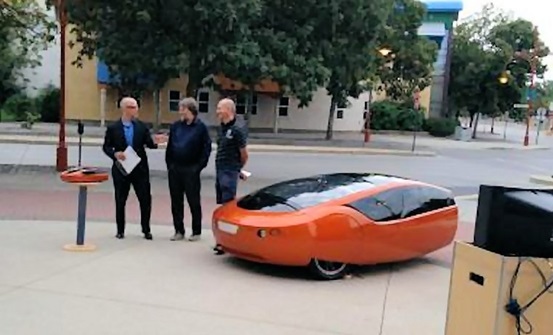 The kick-starter page for Urbee claims the vehicle is the “greenest practical car ever made.” The Urbee 2 has three wheels, a 5KW engine and rear steering. Thanks to some safety concerns in the original Urbee, Urbee 2 has taken on some body changes to improve aerodynamic performance, and includes more than 50 3D printed parts. It kind of looks like a jellybean, but they went for aerodynamics and fuel efficiency before design. Check it out below. What do you think? Would you drive an Urbee 2? If you’re looking for something a little more current, then check out our range at John Hughes today! For more news about the car industry, continue reading our blog!